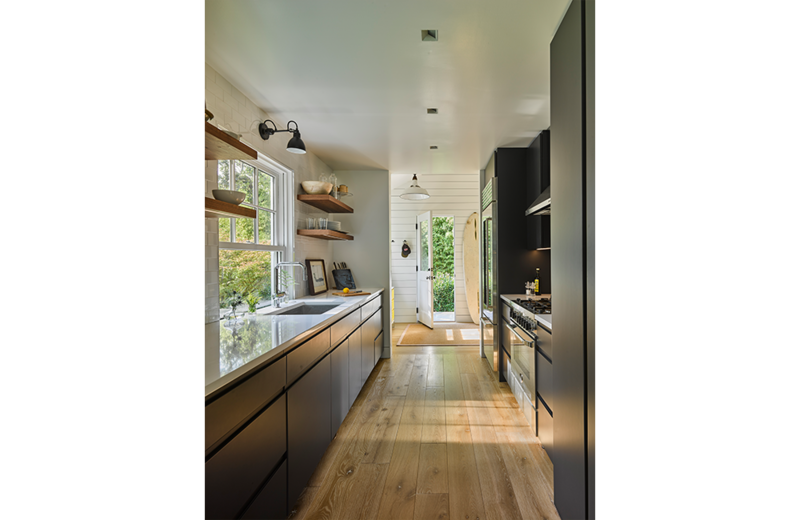 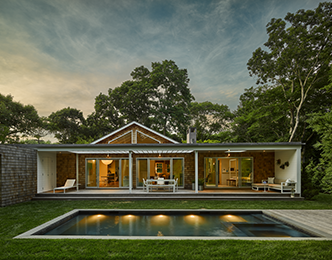 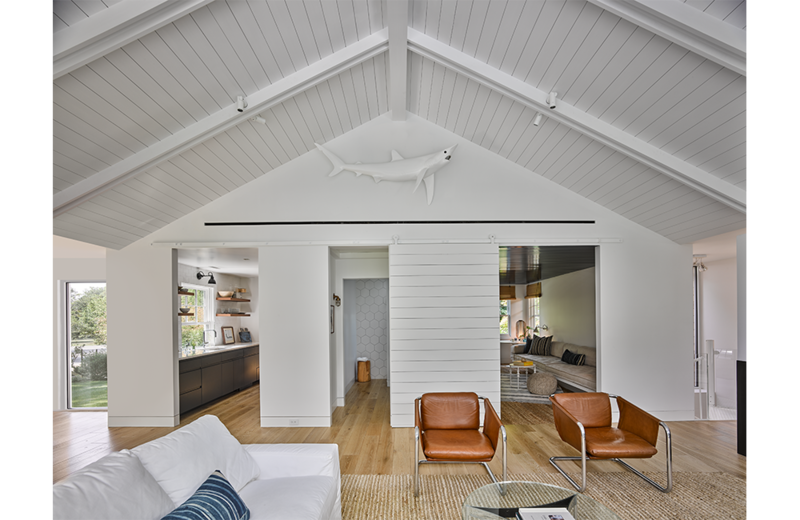 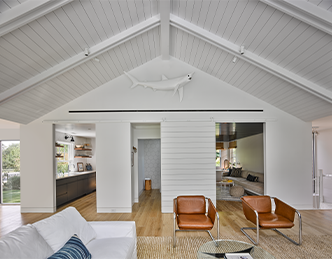 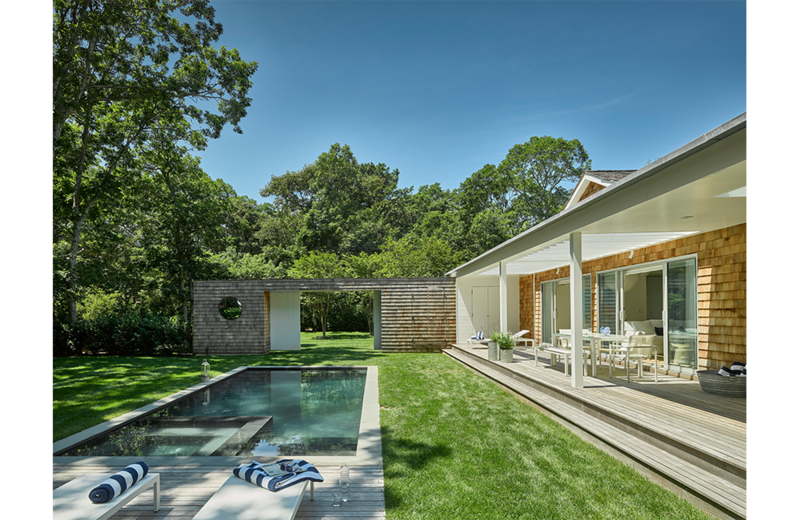 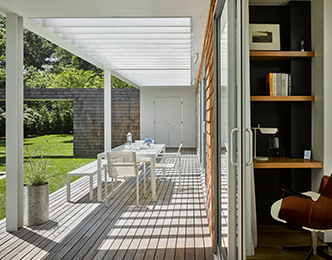 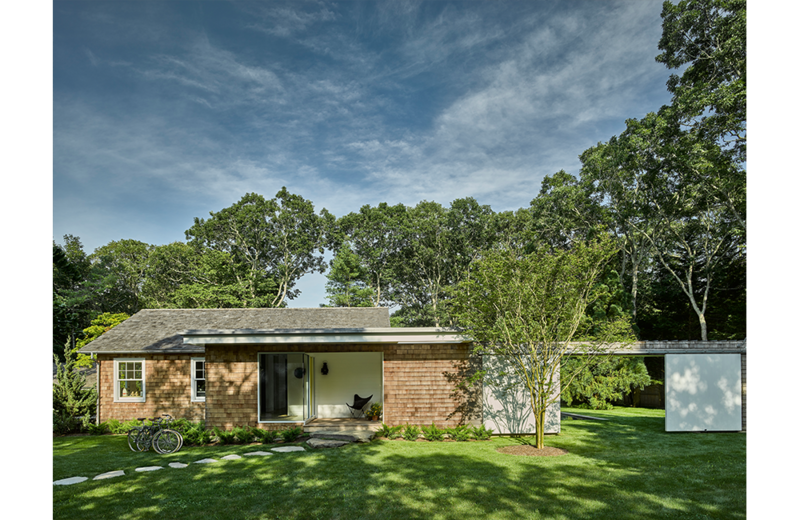 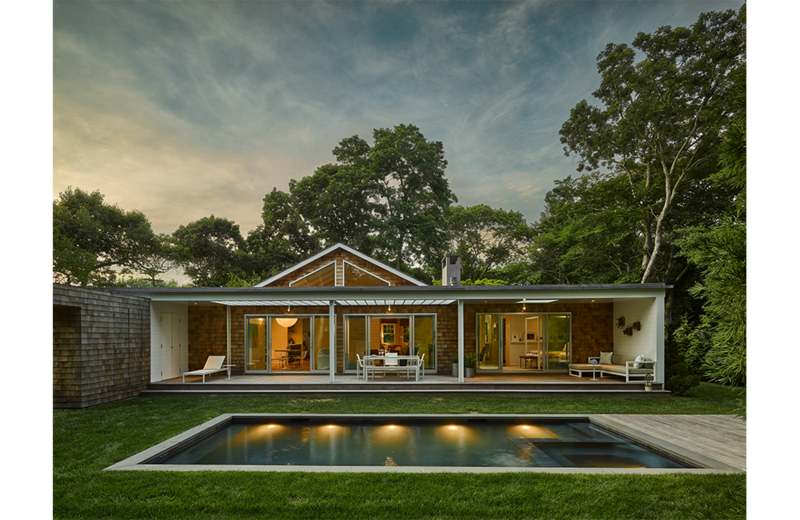 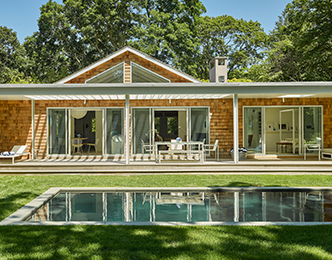 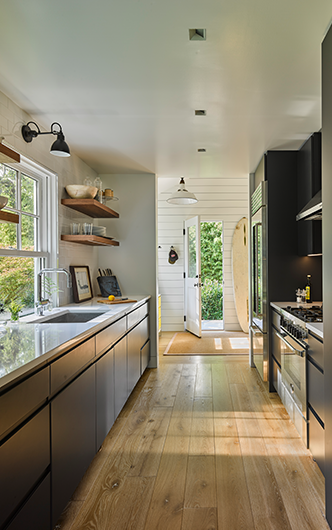 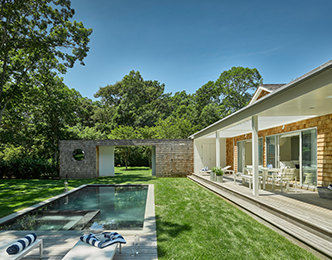 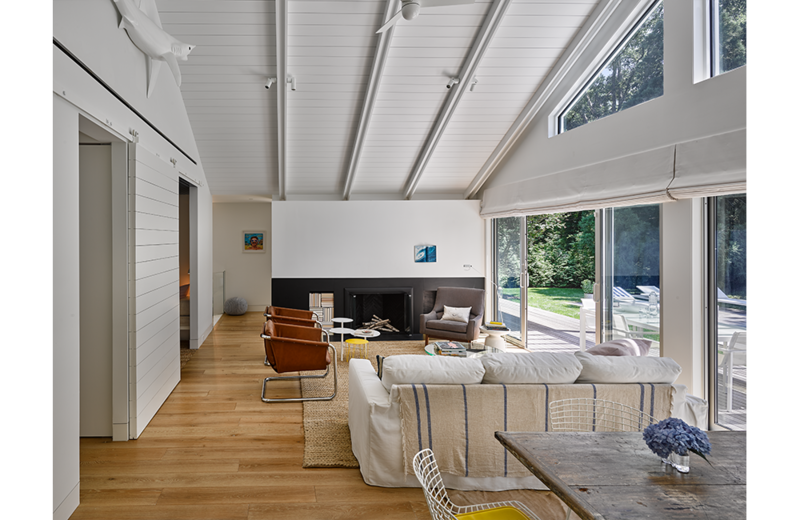 Off the main road of Amagansett, a hamlet of East Hampton, this 1,500-square-foot cottage is surrounded by lush native trees and greenery. 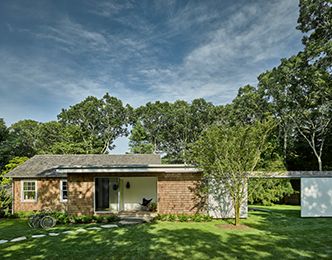 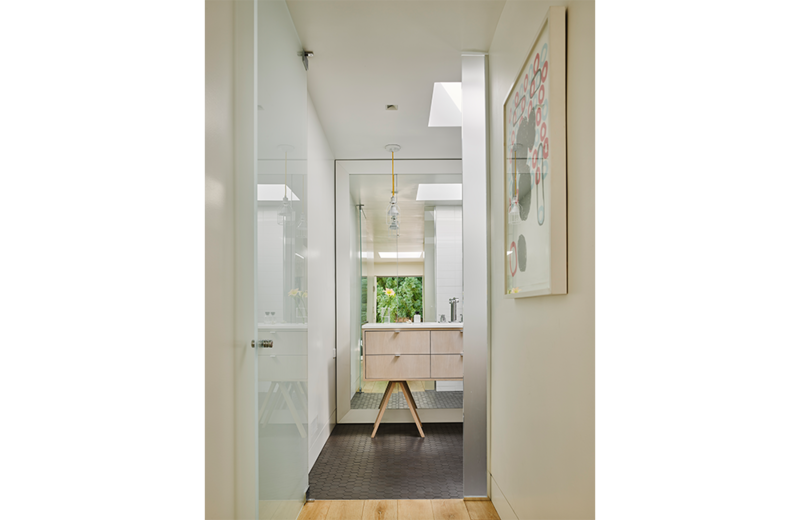 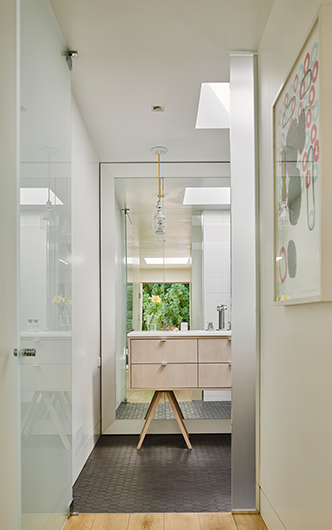 Taking cues from the vernacular language, MSA completed a new light-filled weekend home for a Manhattan couple with a passion for mid-century furniture pieces and efficient living. 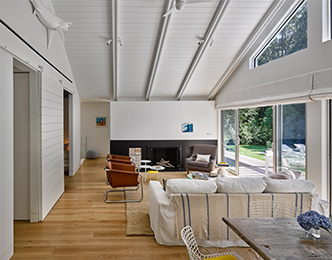 The interior showcases a simple, but elegant material palette, as well as exposed beams in a cathedral ceiling. 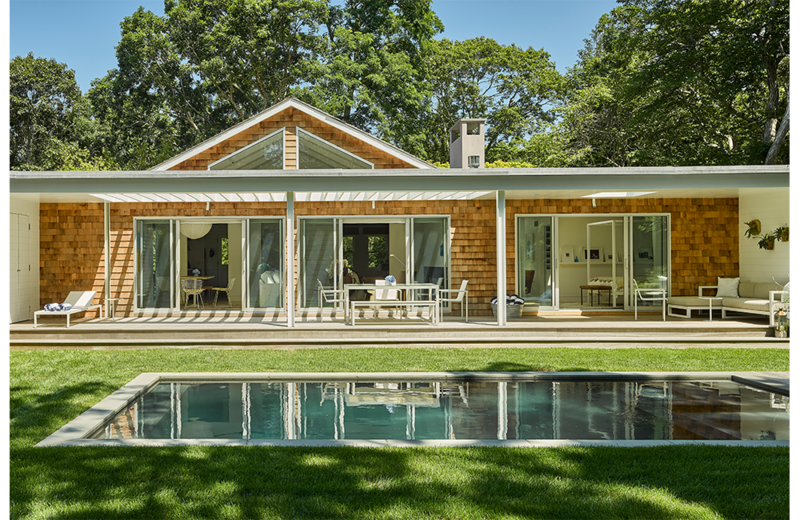 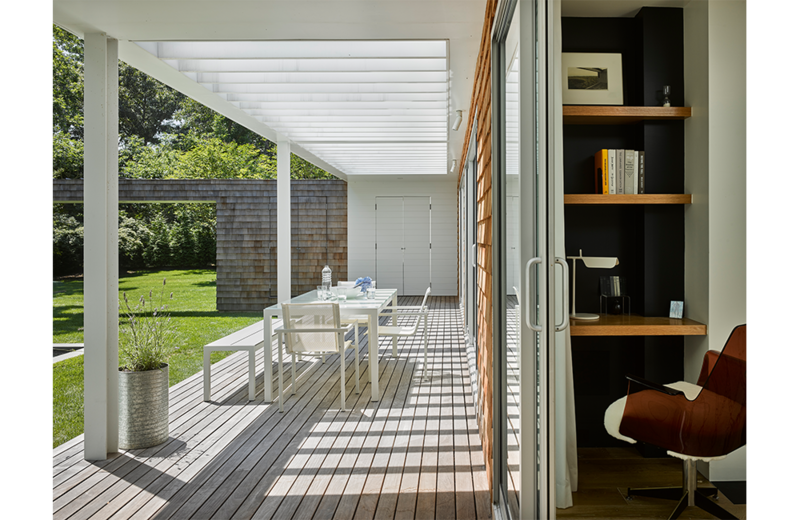 Outside, a large double-thick, cedar-clad wall with a sliding barn entry gate provides privacy from the street, allowing undisturbed enjoyment of the pool and sun deck.